WARNING: Sneak peek of new First Edition Dies may lead crafters to jump up and down excitedly! Ok, so First Edition are releasing a brand new selection of dies and you will be questioning how you ever die cut without these beauties before. 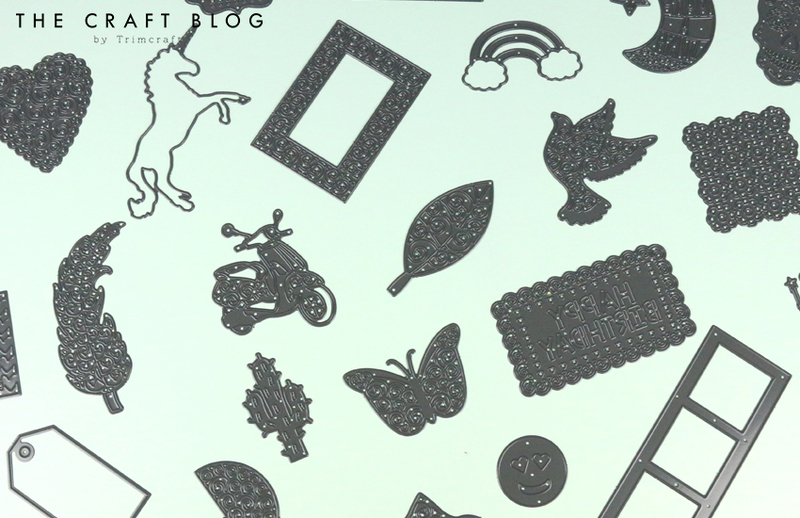 A selection of the latest dies are designed with a beautiful pattern to make them even more die cutting goals! The fairytale dies are super elegant and will be perfect for kids crafts or for those who love a happily ever after! First Edition have gone all out with this phase as not only do they feature delicate designs but eye catching ones too. How epic are these emoticon dies? They will be brilliant for adding expression and character to your stylish makes. Whether you’re card making or upcycling, these dies will add that stylish look you’ve been searching for in no time. This phase also features decorative dies, transport, fiesta (ooh), bird themed, trees, pretty sentiment dies and so much more. Which are your favourites? Keep your eyes peeled at the end of July to pick up your own! A selection of these dies are Hobbycraft Exclusive so make sure to check out their stores to pick up yours! Love the fairies - yet more to go on my die cutting wish list! These new Dies are fab must look out for them, like all of them. Jumping up and down all right, especially for that scooter! Yep. I want them all. Lol. I just can't get enough dies and loads of these are definitely going on the wish list. Love those mushrooms, they are adorable! !